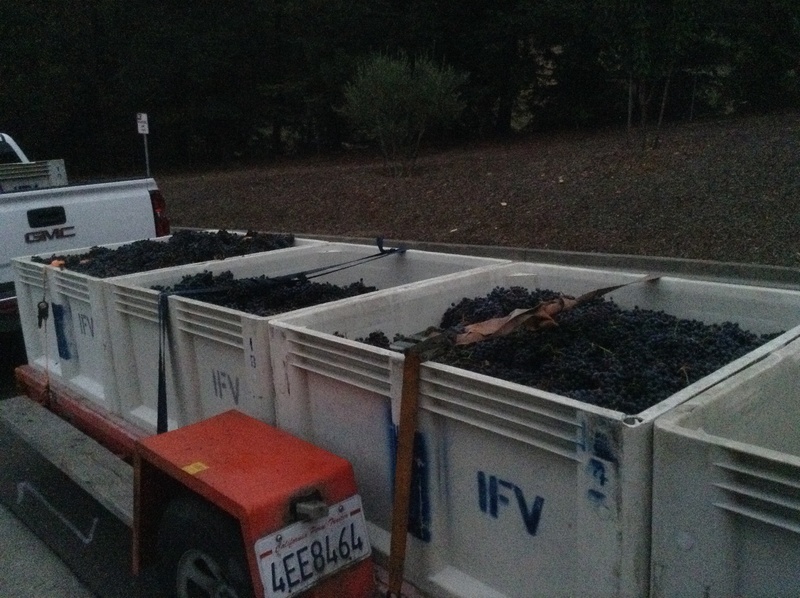 September 24th, 2014: Harvest started at 5:00 am this morning. The majority of it was done before sunrise using individual headlamps. As a result, this was the only picture that I had enough light to take. This will be a year to remember. We harvested 2,014 pounds of grapes in 2014! That translates to 1.007 Ton of grapes! (A nod to James Bond) And, we finished just in time, as it started to rain. The grapes looked very good and are mighty tasty! I can’t wait to taste the juice when it is ready to be put in barrels, but for now, we have to wait.